How to Solve Advrcntr5.dll Missing Error? Burning a DVD disc is nothing new in this digital world that we are living in today. When it comes to burning a DVD disc, Mac system is widely considered better than Windows or any other operating system because Mac OS can provide a much better user experience with a better design of the interface. If you want to burn a DVD disc on your Mac computer, then you’re probably going to need an external DVD drive because most of the Mac laptops don’t come with an internal DVD drive. Even if you have an internal DVD drive or you have an external DVD drive that is connected to your Mac computer, you still need software to burn a DVD on Mac. We all know that an external DVD drive is nothing cheap to buy, so it’ll be better if we can save some money on software, right? 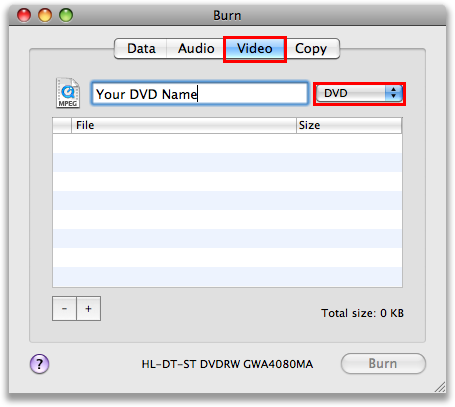 Today we’re going to introduce the top 5 free DVD burning software for Mac, so that you can save your money for burning a DVD disc on Mac as much as possible. 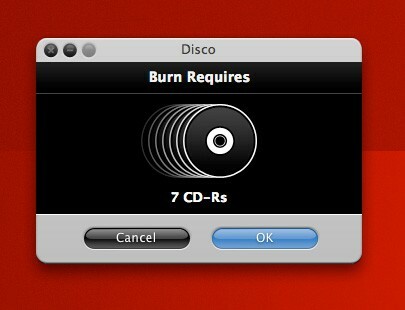 Burn is the most well-known free DVD creator for Mac that allows you to burn both CD and DVD on Mac. As a piece of completely free DVD burning software, Burn has a lot to offer. It gets ease of use and simplicity of user interface into perfect combination. It’s able to burn all types of files you throw at it like data, audio, video and more. Just by diving into 4 modes: Data, Audio, Video and Copy, you can burn data DVD for backup purpose and burn playable CD/DVD without any hassle. In Copy mode, you’re able to copy DVD files (.dmg, iso, cue/bin, etc.) to DVD too. 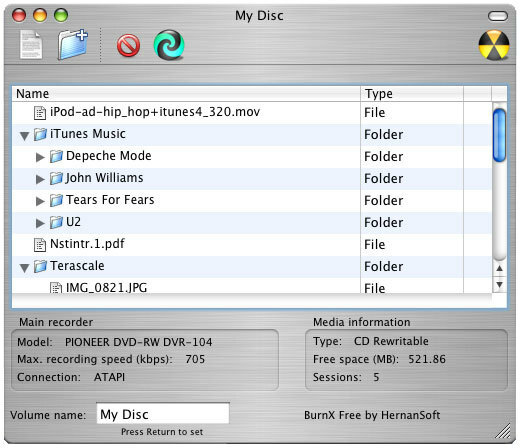 Disk Burner is another great DVD burner freeware for Mac that enables you to create, organize, share and store all of your digital contents to CDs and DVDs. Different from other Mac DVD burner software, Disc Burner not only lets you burn your music, photos, videos and data to DVD, but also pays much attention to the data security. With Disc Burner, you could easily protect your valuable data on CD and DVD. Disc Burner also has a feature of sharing your data with any OS platform users. Disco was formerly charged for $19.95. The good news for everyone is the program could be obtained for totally free, but the bad news is the program has stopped for updating from July 2011. Although Disco hasn’t seen a great deal of development in recent years, it’s still worth trying if you are looking for a great free DVD authoring software for Mac. The program comes with quite simple user interface, letting you burn playable CD/DVD by dragging and dropping files to the program. I should say that the DVD burning can never be this simple with BurnX. You even no need to follow a tutorial or a guide to know how this free Mac DVD Creator works. The program lets you burn playable CD/DVD just by dragging and dropping files to program. This software is available for users with the operating system Mac OS X and previous versions, and it is available in several languages like English, Spanish, and French. BurnX Free is a light software that needs less storage than many programs in the category Utilities. It’s a software very heavily used in some countries such as United States, United Kingdom, and Japan. 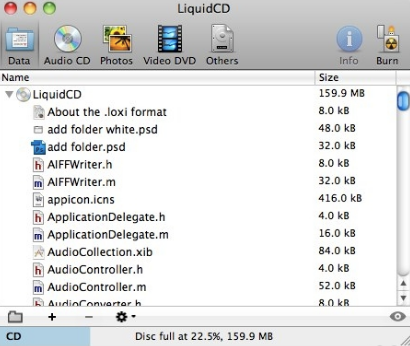 LiquidCD is a free Mac burning software that can burn almost any CDs and DVDs media. You can burn data, audio, photos and video files with this program. LiquidCD even supports multiple languages including English, French, German, Spanish and Danish. There is also a forum for users to ask and answer questions, but it’s in French. As mentioned above, no free DVD burning software for Mac is perfect, even the top 5 best free DVD burning software that we have picked and listed above has their own flaws and disadvantages. So is there another choice that can get a good piece of DVD burning software for Mac and avoid all the inevitable flaws and disadvantages that exist in the free DVD burning software for Mac? Well, I am here to offer you a solution for that, and that is to use a professional DVD burning software for Mac with a free trial. There are a lot of professional DVD burning programs on the market that offer a free trial of the software. Normally the free trial would cut off some functions of the software, or have a limited using time, but sometimes if our project is not too big, or we just want to make a prototype DVD disc to try it out, then the free trial version can be sufficient for us, and we don’t even have to pay for these DVD burning software. After the free trial, if we find ourselves very into this program, we can pay for that later to have a full version of the software and make our project one step towards perfection. 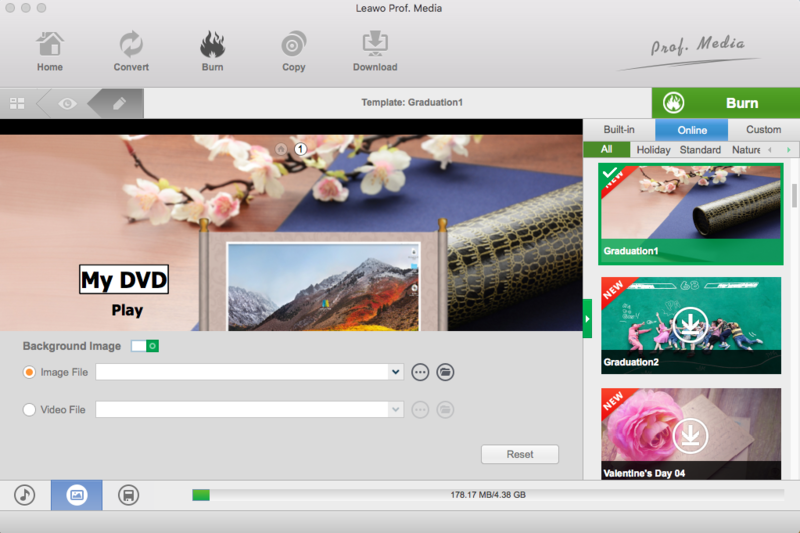 That best DVD burning software for Mac that comes with a free trial that I am going to introduce you today is called Leawo DVD Creator for Mac. 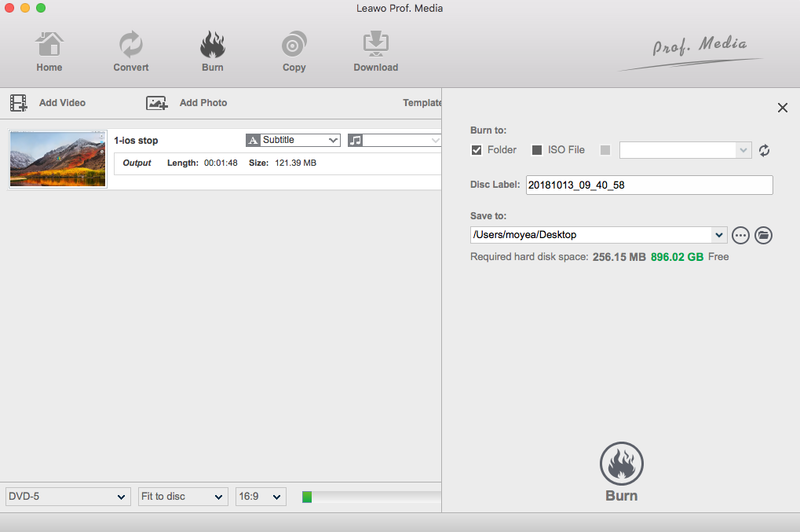 Leawo DVD Creator for Mac can burn almost all kinds of video files like MP4, MKV, WMV, AVI, VOB, BDMV and so on to a DVD disc. It allows you to make a DVD menu before burning to a disc and provides a built-in video editing module for you to do something edits to your video. ☉ Convert videos like MP4, AVI, MKV to DVD format fast. ☉ Create DVD-5, DVD-9 disc, folder or ISO image without quality loss. ☉ 1-click operation to create photo slideshows and burn to DVD. ☉ Easily editable effects, 2D to 3D conversion support. ☉ Built-in menu templates and edit disc menu with personal preferences. The best thing about Leawo DVD Creator for Mac is that the trial version of the software contains all of the functions in the full version. The only limit of the trial version is that you can only burn your video in the limited length. This is a little bit troubling if your video is very long, but as mentioned above, if your project is relatively small, and your video is not that long, you can almost use this professional DVD burning software for Mac free. If you are interested in this DVD burning software for Mac, I’m going to provide you a detailed guide on how to use this the video morning software just in case you want to know more about this program. 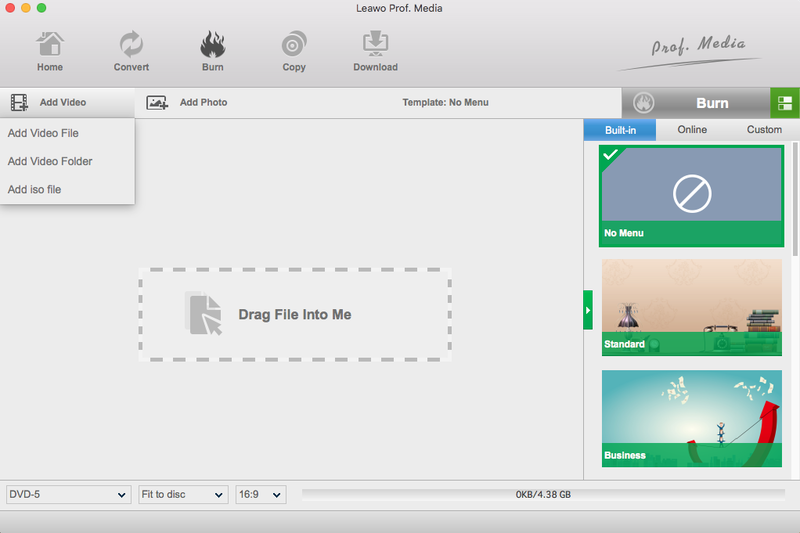 Leawo DVD Creator for Mac is pretty easy to use and has clear user interface. Follow the instructions above and anyone can burn a DVD on Mac with ease. Step 1. Add videos to DVD creator. You can import MP4 videos in 2 ways, by clicking the “Add Video” button to load videos and images, or by directly dragging and dropping files to the program. After loading source video files, you could select subtitles and audio tracks from source videos, play back videos, etc. Set the output DVD disc type (DVD-5 or DVD-9), quality and aspect ratio (16:9 or 4:3) at the bottom. If you want to create disc menu and chapters to output DVD movie, you could choose from the right sidebar. Leawo DVD Creator offers you multiple preset disc menu templates in different themes like Standard, Business, Education, Childhood, Holiday, etc. Also, it allows you to DIY disc menu with your own images and audios. You can edit the texture on the menu page, change background music and picture and so on. Instant preview of the menu is also avilable. If you want no menu, just select “No Menu” option on the right sidebar after you load source videos. After setting disc menu, click the big green “Burn” button to call out the burning settings panel, on which you need to figure out Burn to, Disc Label, and Save to options. After the burning settings, click the “Burn” button on the popup burning settings panel to start burning videos to DVD. This DVD Creator would immediately start its work and finish it in a few minutes.